6 Things to do in Dublin – other than escape rooms! We think there is no better way to spend your time than playing an escape room in Dublin. However we figured you might be interested in some other attractions in Dublin. 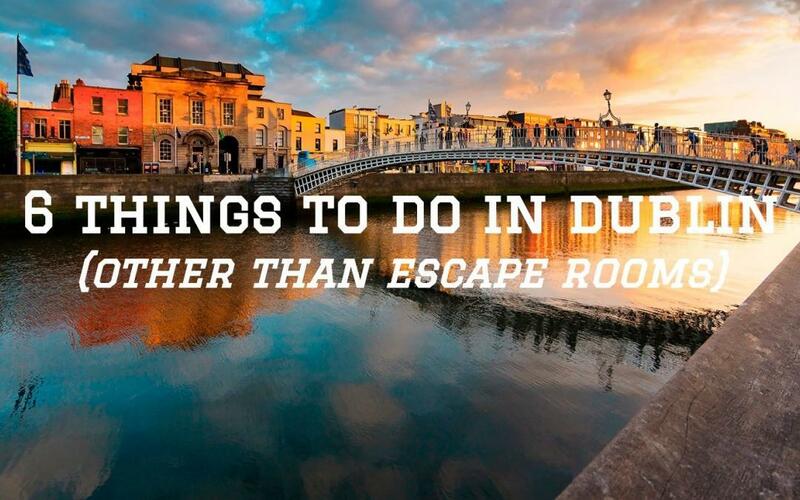 So we’ve done up a little guide for you of the 6 top things to do in Dublin, other than escape rooms! If you only have one day this is the perfect guide for you – after you play the Escape Boat of course. 1. Feel the History in Kilmainham Gaol. 2. Take the Dart and see the rest of Dublin. 3. The Bog Bodies at the National Museum. 4. Have a drink in the Hacienda. 5. Visit the Mummies at St. Michan’s Church. This gruesome attraction is another little know Dublin attraction that deserves a visit. The crypts here are open to visits with tour guides who make the experience highly entertaining. The church dates from 1095 and oozes history. Below the church are five long burial vaults. They contain the mummified remains of many of Dublin’s most influential families from 1600 to 1800. In the vaults guests can view the death mask of Wolfe Tone and the coffins of the 1798 rebels John and Henry Sheares. It’s an absolute must if you come to Dublin. Not visiting the home of Guinness is like not seeing the Eiffel Tower in Paris, or ignoring Buckingham Palace in London. Even if you don’t go into the Storehouse, it’s worth walking around the brewery and soaking up the atmosphere and smell of a brew that has been such a pivotal part of the city’s history. If you do go to the Storehouse, make sure to book ahead and skip the queue on their website https://www.guinness-storehouse.com/.You can try your hand at pulling a pint of plain inside and have a drink in the Gravity Bar with spectacular views over the whole city.